Why doesn’t Pinterest have an affiliate program so that you get paid whenever someone buys a product off of your Pin-board? A new site steps into that space. We’ve seen the numbers: Pinterest is turning out to be a real driver of purchases on the Internet, and Pinterest users spend more cash on average than members of other social networks. So why doesn’t Pinterest have an affiliate program so that you get paid whenever someone buys a product off of your Pin-board? That’s the fresh twist to the pin-it-buy-it chain reaction being offered by a service called Wisemarkit, which goes live July 2. 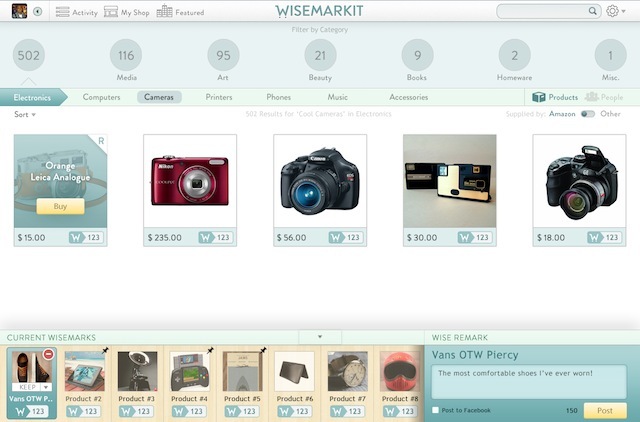 Wisemarkit gives you a chance to earn back a little cash when people buy the products they recommend through the site. “We are empowering people to be their own entrepreneur and own their own store,” cofounder Oliver Ripley tells Fast Company. “It’s quite exciting [to] allow people to upload their own products.” That’s an approach that’s been adopted by curate-and-sell fashion sites like StyleOwner before. 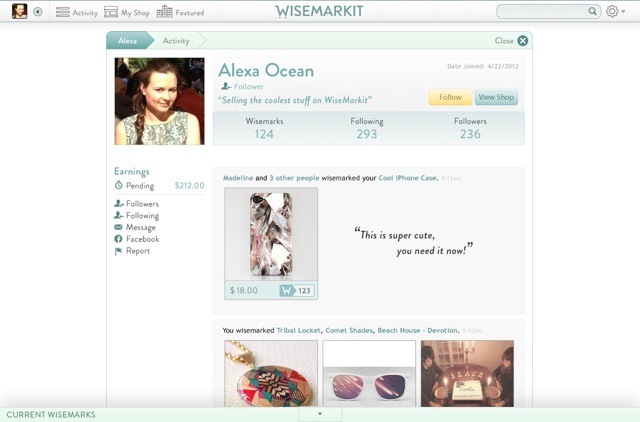 But Wisemarkit sees a market far beyond just fashion, on the shoulders of its Pinterest-like interface. Wisemarkit gives you a profile page which you can fill with up to 10 of your favorite “wise marked” products–it could be olive oil, sporting equipment, maybe a favorite pair of heels–from Wisemarkit’s catalog (pictured above). Your pick of 10 products are then displayed as image thumbs to your followers, in your “shop front” profile. When someone decides to buy a product through Wisemarkit based on the recommendation you just made, Wisemarkit gives you a slice of the revenue it just earned. For now, Wisemarkit has signed up to access all of Amazon’s products (through the Amazon Affiliates program) and a similar program called Shopsense. 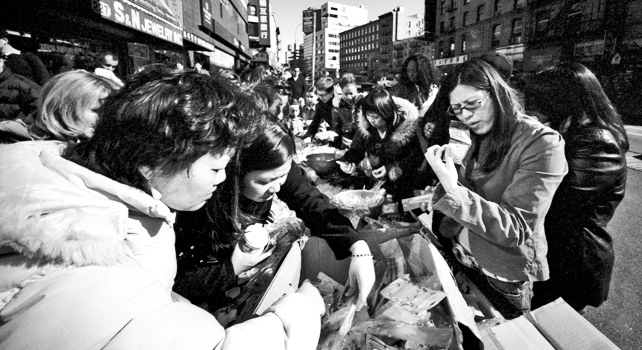 But the goal is to source popular products from retailers directly. Ripley and Salah want Wisemarkit to inform you beyond the Wisemarkers you follow. A search for a camera, say, or a mountain bike, will reveal a list of the highest-rated products from the most successful Wisemarkers. On the flip side, Wisemarkers who drive sales for the website are rewarded with points which they can trade in to expand their shop floor (and raise the cap of 10 products to 15, or 20) and decorate their profile page like a jazzy shopfront so non-follower searchers will be enticed in. 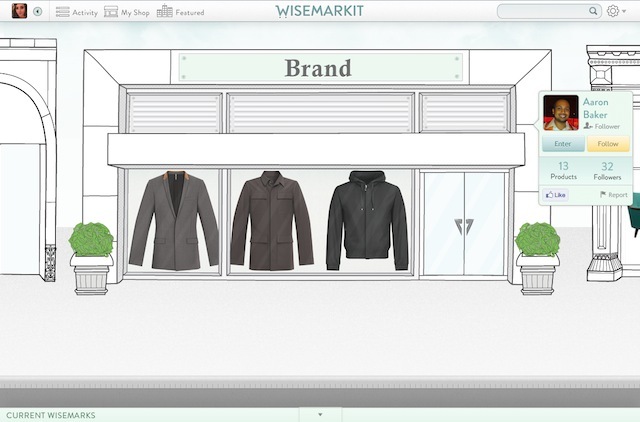 As the months roll on, Wisemarkit intends to get more and more social. “We’re very much in bed with Facebook,” Salah says. This means, a year from now, Wisemarkit and Facebook could together remind you that it’s your friend Sam’s birthday next week, and make a gift recommendation based on his Wisemarks and purchases.